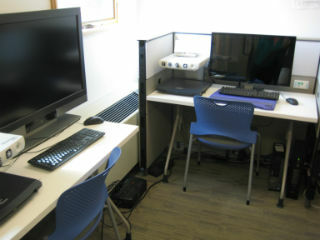 Disability Access Services (DAS) has a 48-seat testing center where students registered for DAS accommodations can take proctored exams at OSU. For information about the proctoring services offered at the DAS Testing Center, please contact Testing.Services@oregonstate.edu or call 541-737-8970. Corvallis DAS Testing Center hours of operation are Monday - Thursday 8 a.m.–10:30 p.m. and Friday 8:00 a.m. - 5:00 p.m. Exams must be completed during operating hours and end prior to 10:30 p.m. or 5:00 p.m.
Finals week - Corvallis DAS Testing Center hours are Monday - Thursday, 7:30 a.m.–11 p.m. and Friday 7:30 a.m. - 5:00 p.m.
Read the DAS Testing Services Policies and Procedures.